Joseph Beam is an official honoree today for LGBT History Month 2013, which this year has several HIV-positive honorees. Joseph Beam was a gay activist and author who worked to foster the acceptance of LGBTs in the African-American community. 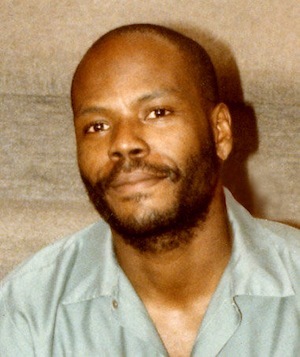 Beam became a leader in the black gay community in the early 1980s, writing news articles, essays, poetry and short stories for publications such as The Advocate, Body Politic, Gay Community News and the New York Native, relating the gay experience with the U.S. civil rights movement. In 1984, the Lesbian and Gay Press Association awarded Beam for his outstanding achievement as a minority journalist. In 1986, he edited and published In the Life, an anthology of work written by largely unknown black gay writers, in response to his frustration over the absence of African American voices in LGBT literature. The anthology is widely regarded as the first of its kind. Beam was also the founding editor of the national magazine Black/Out, served on the board of directors of the National Coalition of Black Lesbian and Gays, and was a contributing editor for the magazine Blacklight. He also worked as a consultant for the Gay and Lesbian Task Force of the American Friends Service Committee. In 1988, Joseph Beam died of AIDS-related complications just three days shy of his 34th birthday. In 1991, Beam’s mother and friend published a second anthology of black gay men’s literature, titled Brother to Brother, which Beam was working on at the time of his death. Go to lgbthistorymonth.com for more information about Beam and the other honorees.